Claim 4. 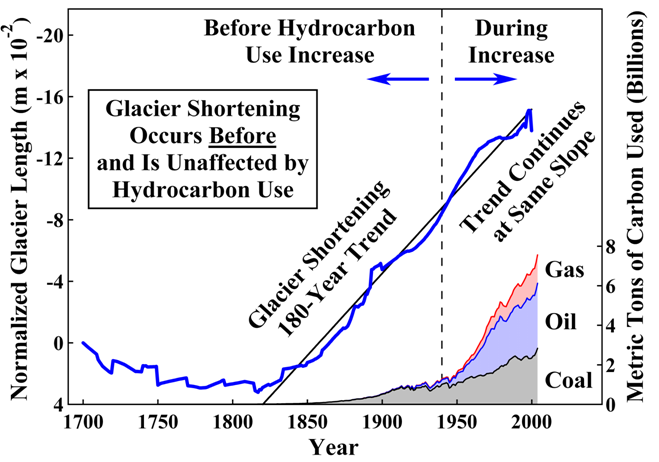 Manmade CO2 levels have been rising rapidly due to increased industrialization and populations since the 1950s. 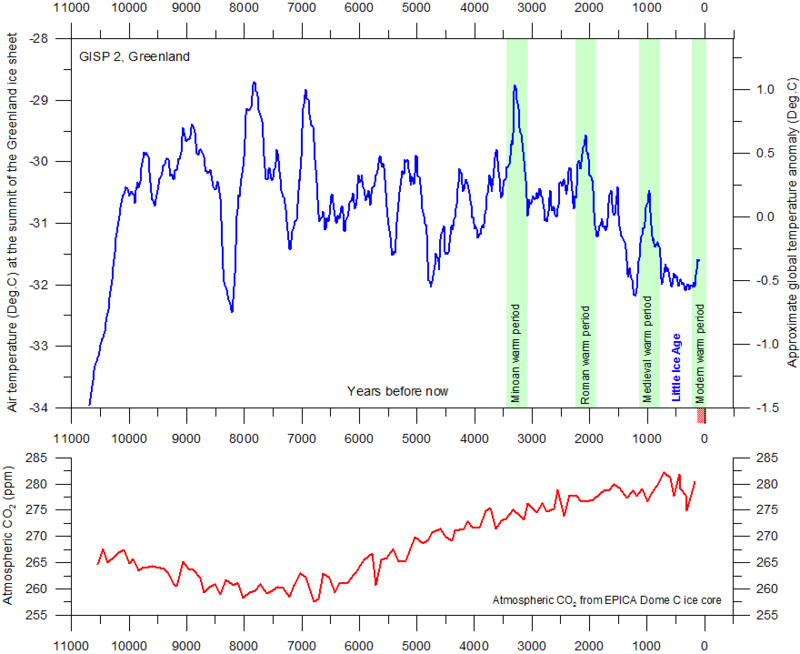 Truth: CO2 levels have been steadily rising along with warming since the Little Ice Age. Recent increases in industrialization and population appear to have contributed to the increase in atmospheric CO2 since the 1950s when fossil fuel consumption began increasing. Rising temperatures have also contributed to increased CO2 because it is less soluble in warmer ocean water and is thus released. it is unclear how much is from manmade sources and how much is from natural processes, but some estimate put it at 5%. However, if CO2 is not responsible for global warming, (see previous posts) increased levels shouldn’t alarm anyone and in fact increased CO2 should be celebrated as a plant growth promoter.